Offered range of Tungsten Alloy Crankshaft is designed in a specific shape to minimize the turbulence and enhance the mixture flow inside the crankcase. These are employed on the balanced and spun to check the parts and position, where metal weights needs to be added or subtracted. Do you want to minimize the turbulence along with increasing the flow of mixture inside crankcase? If yes, the order our Tungsten Alloy Crankshaft now and fulfill your requirements. The design of this product is specific and it is used on the spun and balanced for checking the parts as well as position wherein there is need of addition or subtraction of metal weights. We can offer corrosion resistant tungsten alloy crankshaft in customized options, on the basis of client's specifications. Made from special metal alloys, our crankshaft has superior properties like high strength and a simplified life cycle. In automobile industry as a material of the engines. Our offered tungsten alloy crankshaft is extensively used in automobile industry. It is widely used as a material of engines. In the international market, we are acknowledged as illustrious tungsten alloy crankshaft manufacturer and exporter. We are supported with skilled manpower who are efficient in ensuring precision and swiftness in huge scientific as well as technical calculations. Our tungsten alloy crankshaft is well furnished and top grade of tungsten is used as material of construction. Our engineers are well versed in mechanical and metallurgical engineering. 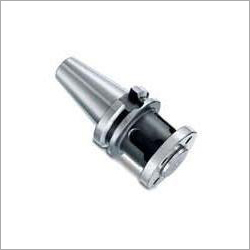 So they ensure accuracy and top quality in tungsten alloy crankshaft manufacturing. Visual inspections and tests are done to ensure physical quality of the products. Qualitative and strong packaging along with timely consignment delivery makes our company more valuable in the international market. Our offered tungsten alloy crankshaft is more than twice opaque rather than lead.